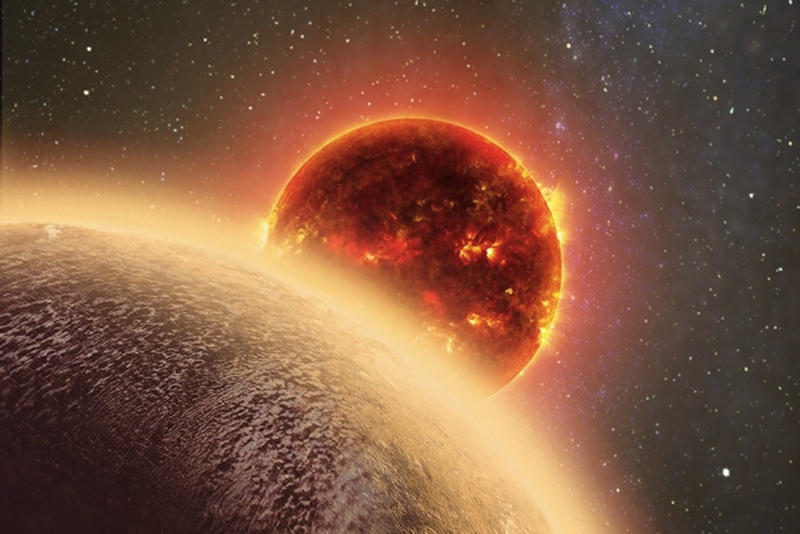 CAPE CANAVERAL, Fla. -- There's a new rocky Earth-size planet on our galactic block, and it's a sizzler. Planet GJ 1132b is just 39 light-years away, within the atmospheric study range of the Hubble Space Telescope. Given that a single light-year represents 5.87 trillion miles - the distance light can travel in a year - this planet is about 230 trillion miles away. Its home star - GJ 1132 - is a red dwarf one-fifth the size of our sun. The planet circles every 1.6 days from just 1.4 million miles out, thus the heat wave. A slight dip in the starlight every 1.6 days was the giveaway for the observing team.